Our hands-on Android Mobile App Development Training Courses teach students to create mobile apps for smartphones powered by Google’s Android operating system. From scratch, students will learn to create apps which will run on Samsung, HTC, Sony and LG phones, as well as many others. All Android apps are coded in the Java programming language, so non-developers will need to take the “Introduction to Object Oriented Programming and Java” course before attending. Alternatively, a laptop can be hired for the duration of the course. Seeing that more people own Android devices, the potential for end-user download on a particular app is higher. For instance, the popular app “WhatsApp” has 73% of their users on Android devices as opposed to 22% on iPhones. Of course, Apple does manage their own integrated chat apps, however this is just an indication showing us that when it comes to market share, there is a much larger pool in the Android marketplace. Why is this important? Entering into the Android market creates a wealth of programming opportunities. It’s a large market that is constantly growing and judging by the trends will continue to grow for the unforeseeable future. It’s important to understand the trends of the app marketplaces in order to know where to spend your time and effort properly. Seeing that all Android apps are coded in the Java programming language, it is important that newcomers to the development world take an Object Oriented Programming and Java course prior to attending our specialized Android Development Course. 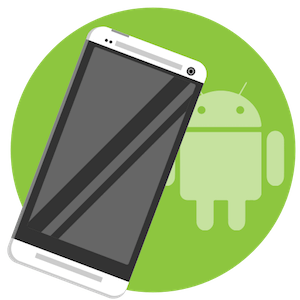 Our Android training is an extensive, on hands experience that will allow you to learn Android App development with ease and simplicity. We have the ability to help anyone achieve their maximum development potential quickly and our students range from complete beginners to developers with years of experience. When you learn to build Android apps, you are given the ability to make ideas come to life. One of the most popular categories on the Android Marketplace is game development. With our Android Bootcamps, you will learn the key skills to create your own games and potentially reach the masses with your ideas. Understanding that “life happens”, here at Bermotech we have developed flexible course schedules to accommodate to your lifestyle. Whether you require evening training or only have the weekends free, we can help you learn the necessary skills for proper Android coding. While it is true that you can learn coding by yourself by scouring the internet, with our help you’ll be able to significantly decrease your learning curve and have the necessary tools to start coding sooner than later. Here at Bermotech, our mentors are adept not only in coding, but in teaching. We can help you understand the complexities of code in an easy and fun manner. Our main objective is to give you the freedom to explore your creativity and enter into the fascinating world of Android App Development. If you’re ready to take on a new skill and push your boundaries, get in touch with Bermotech and find out more about our schedules, next available courses and much more. 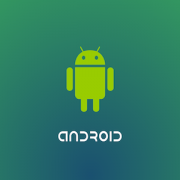 For more information on upcoming Android app courses in London call us on 020 7586 1602 or email us at info@bermotech.com.